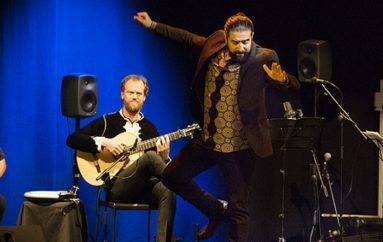 Flamenco in Jerez is question of families. You meet a singer, and more likely than not, after giving his name, he’ll quickly indicate what family he’s related to, even if it’s just a distant cousin. 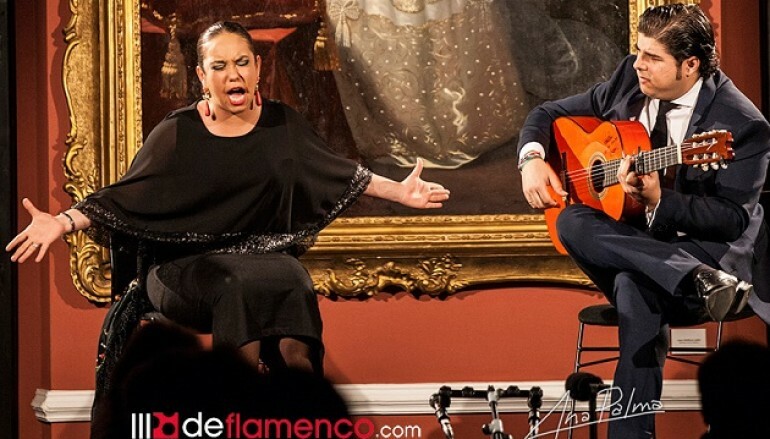 On Monday evening, at the Palacio Villavicencio, the intimate space reserved for acoustic recitals, two Jerez singers performed, each one able to boast of family ties. 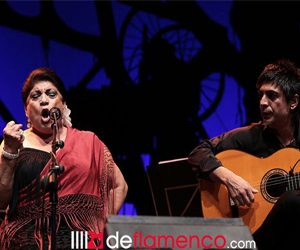 Jerez has watched María Terremoto come of age, daughter and granddaughter of extraordinary singers. I remember the little girl in 2004 when I interviewed her father, and all she wanted to do was run outside and play. 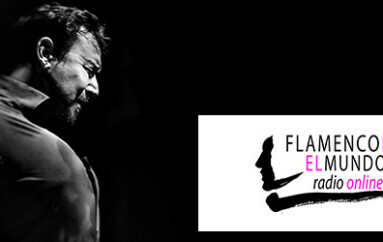 In 2009, when Fernando Terremoto made his last appearance at the flamenco association named after his father, Terremoto de Jerez, I wrote the following: “The indelible memory of Fernando asking his young daughter to sing for his dancing, and the timid child refused, but the father tenderly insisted, and the girl pulled up a voice so rich and full, it made you believe this might really be in the blood after all, and the father danced, and the daughter sang: ‘To whom shall I sing?, I’ll sing to my father, as is only fitting’, and there was not one dry eye in the house”. Next stop (after several others along the way): Peña Chacón, 2015. The girl, now adolescent but still shy, interpreted three or four pieces, still green, and aware of what people were expecting of her. Months later, she participated in Madrid in Diego Carrasco’s Christmas show, and María seemed to be accepting her destiny. 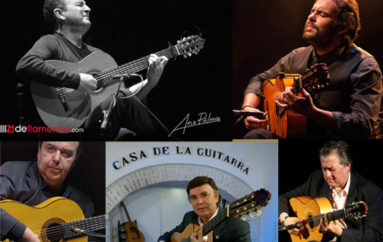 Last night at the Villavicencio, accompanied on guitar by the always interesting Manuel Valencia, we saw a 17-year-old girl with great possibilities of going far in this difficult specialty. Dressed elegantly in black, with large coral earrings, wrapped in a beautiful embroidered shawl and her hair done in a tight knot, she was a perfect portrait of flamenconess. Placid and serene, she began with malagueñas, followed by tientos tangos. The classic verse, “I speak to God and tell him, ‘it seems impossible what you have done to me'”, makes a knot form in my throat. A María le vi cantar la otra noche en el homenaje a José Menese que se montó aquí en Madrid, en el Auditorio. Puso la sala patas arriba, así de claro.